Our Year 4, 5 and 6 classes have all enjoyed wonderful residentials this summer. 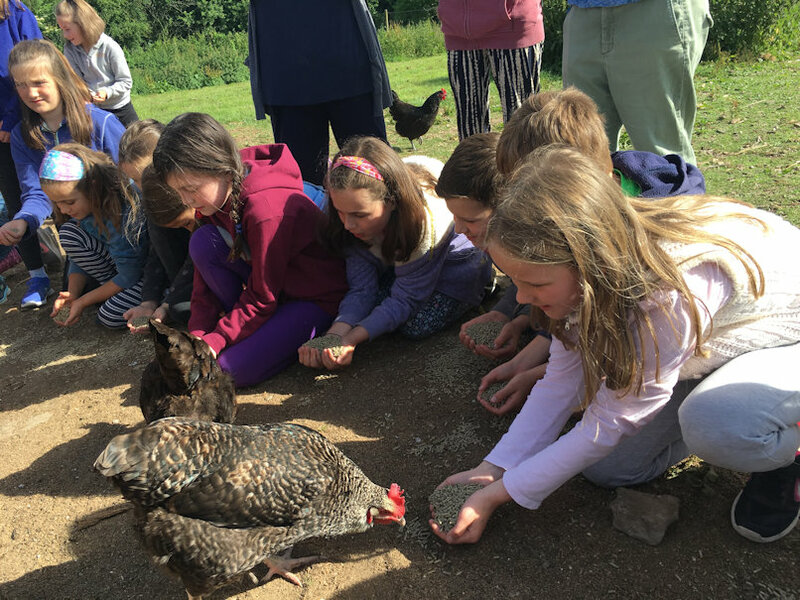 Our Year Four children enjoyed a wonderful three day residential at Magdalen Farm, near Chard, in June. Thank you to Mrs. Elliott, Miss. Kane, Mrs. Pellicci and Mrs. Turner who led the trip. The children benefited from great weather and enjoyed a variety of outdoor learning opportunities and experiences including building waterproof woodland shelters, collecting hens’ eggs, learning about food production, singing around a campfire, building rafts and sailing teddies down the river. They even had time to make their own healthy pizzas in a wood fired outdoor oven! It was a fun filled and action packed three days! Our Year Five children enjoyed a fantastic three day residential at Dean Field in May . Thank you to Miss. Kirkpatrick, Miss. Farrar, Miss. Cooper and Mr. Jackson for leading and supporting the trip and enabling each child to shine in a different way. It was wonderful to see so many children challenge and push themselves to conquer fears and to achieve new challenges. The children were a credit to themselves and our school. Well done to all! Our Year Six children enjoyed a fabulous five day residential in the Isle of Wight. Thank you to Mr. Jackson, Miss. Bowman, Mrs. Cooper, Miss. Watt and Mr. Newman for accompanying the children.